Republican Sen. Ron Johnson has defeated Russ Feingold in the Wisconsin Senate race to hold on to his seat. The Associated Press called the race for Johnson at 11:22 P.M.
Johnson was considered such a long shot to win reelection that two months ago D.C.-based Republican groups cancelled money going into the state. Most polls showed Johnson down by eight to twelve points during the summer. However, Johnson’s campaign saved their resources for the final month and a half of the campaign and mounted a last minute comeback to top the former 18-year senator. Throughout the campaign, Johnson ran as an "outsider" within Washington. The senator touted his experience creating jobs as a manufacturer in Wisconsin and regularly hit Feingold over his campaign finance hypocrisy, being the deciding vote on President Obama’s health care law, and for calling Hillary Clinton honest and trustworthy. Feingold previously served as a senator for 18 years before being defeated by Johnson in 2010. After leaving the Senate, Feingold taught at numerous universities, including Stanford, and worked at the State Department as a special envoy between 2013 and 2015. 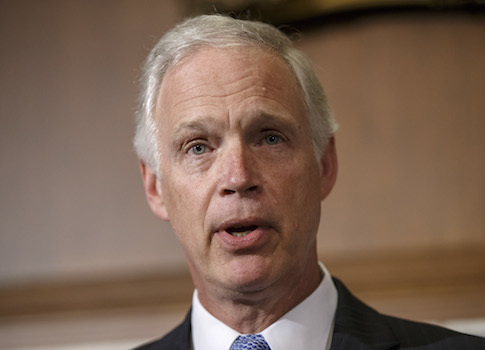 Sen. Ron Johnson announced before the election that if he were to win, he would not seek a third term in the Senate. This entry was posted in Politics and tagged 2016 Election, Ron Johnson, Russ Feingold. Bookmark the permalink.